Ok, nicknaming people who do deliveries "deliveries" is not real clever. Thanks, Lee. 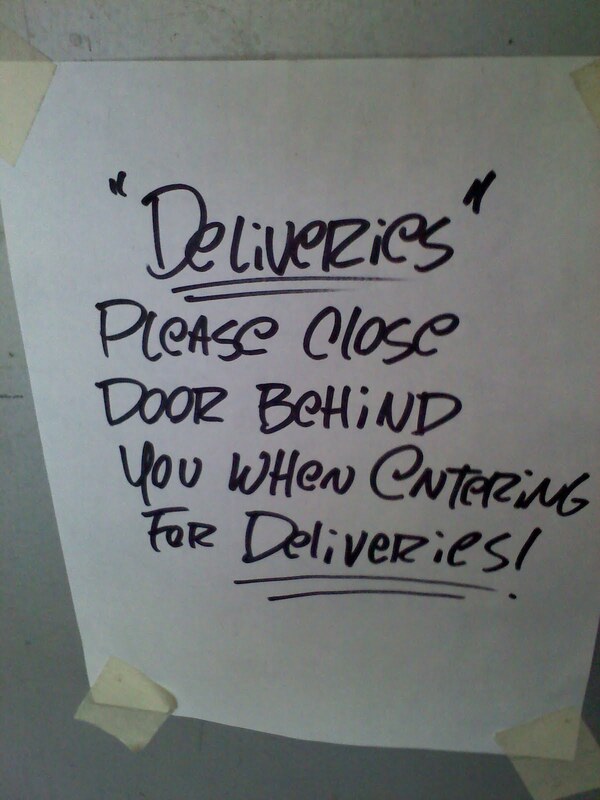 This notice is for the benefit of "Deliveries" stand-in. But one wonders if, when entering for themself, can they leave the door open?